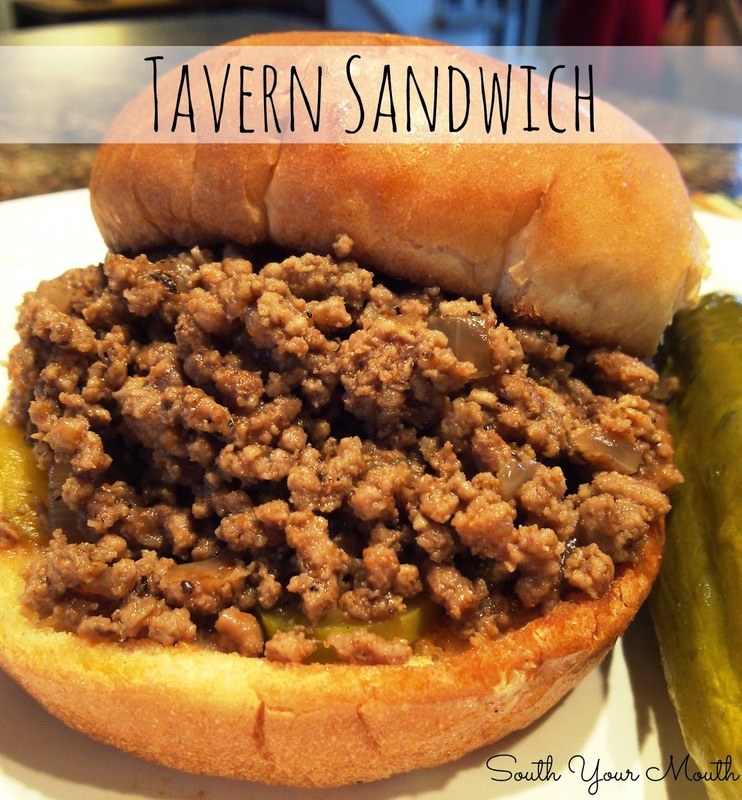 These Tavern Sandwiches (also called Loosemeat or Loose Meat Sandwiches) are seasoned ground beef and onions served on toasted buns. I think I was destined to be a foodie. I should have known this when, as a teenager, my biggest takeaway from the Roseanne show was wondering what a “loose meat” sandwich was. Remember that? Towards the end of the series, Roseanne had that little diner that served loose meat (loosemeat?) sandwiches. I can remember thinking that sounded pretty interesting! I was like fifteen. Of course, I'm the one who walked out of Twilight wondering what was in Harry Clearwater's fish fry too. So when my friend, Kris, from Big Rigs 'n Lil' Cookies posted this recipe for Tavern Sandwiches I wondered if they were the same as Roseanne’s loose meat sandwiches. I mean, that’s what it looks like… loose meat. I did a little digging and, sure enough, they are the same thing! Or close enough anyway. Read more about these sandwiches here. The onions loved this. They’re similar to a Sloppy Joe, which they loved. But they’re not ketchupy, which I loved. I plan on making this the next time I have a bunch of folks over because everyone can easily serve themselves and, if you cook it in a crock pot, it will be hot and ready when your guests get hungry! Here’s my version of a Tavern Sandwich (aka Loose Meat Sandwich or Maid Rite Sandwich). I don’t know if it’s traditional but I think a slice of American cheese would be great on these! Oh, and I’ll warn you, they ain't joking when they call this “loose meat” because you’ll make a big ol’ mess eating these! But it’s part of the fun, I think! In a large skillet, brown ground beef and onion over medium-high heat until beef is cooked through. Drain fat. Add ground beef mixture and remaining ingredients to a large pot. Bring mixture to a simmer then reduce heat and cook on low, covered, for 4 hours. To serve, scoop meat with a slotted spoon to allow excess broth to drain off and serve on a toasted bun. Serve with dill pickle chips, cheese, yellow mustard or other condiments of choice. Add ground beef mixture and remaining ingredients to a crock pot and cook on low for 8 hours or high for 4 hours. I loved Roseanne and used to wonder the same thing! around here they are known as made-rite's, they are so yummy, I'll take one of these anytime over a sloppy joe. I remember these from Roseanne, too! I fell in love with them then and have forgotten all about them. These are fabulous with either Velveeta stirred into the meat, or a slather of Cheez Whiz on your bun. Either way it is a heart attack on a plate and I LOVE EVERY BITE! Oh Yes! Patti Panuccio, MAYO is a must! OHMUHGAWSH... definitely going to have to give these a whirl!! I live in Iowa and these are staples in this state! We call them maid-rites (after the famous restaurant). I also remember watching Roseanne thinking....doesn't everyone know what these are??? My family uses a similar recipe for sloppy joes. They use a can of chicken gumbo soup instead of consommé, and add 1/4 C. ketchup and 2 tbsp. yellow mustard. It's really very good. You are the only other person I've heard of making sloppy joes this way!!! :))) That's the only way my family makes them! My family makes them this way too. 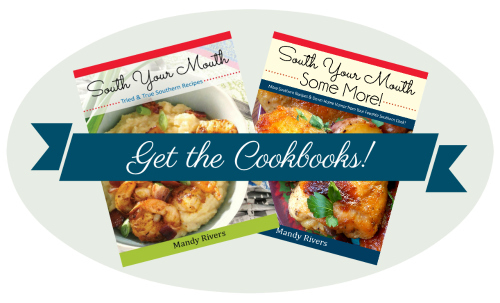 I haven't had them in forever - gumbo may be on my shopping list today! My daughter's husband to be is from Iowa, and the first I heard about these were from him. He also calls them Made-Rites. Sounds great to me! I also like the fact that there's no ketchup, but I'll definitely be using mayo on mine! Lol...I'm from the south too! Thanks for a great post! I think I will serve these with Pita pockets to make them easier to eat. I do that with sloppy joes! I've had these sandwiches before and they are tasty! Pickles and mustard are my favorite way to eat them. I really was surprised by how many people have not heard of them. Needless to say, anytime I make them I have to make a lot, our neighbors 'sniff' their way to my kitchen...LOL!! These sound like a NuWay from Wichita Kansas...anyone familiar with them? My husbands absolute Fav! I love NuWay! I am from Hutchinson about a 45 minute drive from Wichita! I am from newton. Love nuway! They call these Steamers in our area and they are awesome....I do add a very small amt. of ketsup. Makes my mouth water. Making these tonight, I may serve them in hotdog buns to save on the mess! I made these, but I added a package of Beefy Onion soup mix as well, did not have enough onion. So I just substituted the soup mix and they turned out really tasty!! I love them! Do I count as a Southerner? I'm not sure what ketchup and mustard have to do with this recipe? This isn't barbeque (and it doesn't have mustard in it?) but since we're talking about it, ketchup based BBQ sauce isn't necessarily Southern. We eat mustard based sauce in SC, there's black pepper & vinegar in NC and white sauce in Alabama. I am also a southerner, born in Texas, raised in South Carolina. I have no idea why someone would be as closed minded to say "southerners won't like this". I agree with you Mandy, I love them! I am familiar with Maid Rites and have tried to duplicate them at home. I am making these today and can hardly wait for 4 hours. They smell wonderful. The drive in here was called Frost Top and you at in your car. I also remember them having a generous amount of sliced dill pickles. Thanks for sharing!. If you want to keep your tavern or maid rite bun from falling apart---put the meat mixture on the top bun, add the bottom and turn over to eat!! I love these! These are served where I live in NC (aka Mayberry RFD) with tomato, slaw and mayo. In the northwest part of Iowa, near Sioux City, we have Tastee's. These are more popular than the Maid-rites in the middle of the state. They are also known for their onion chips and dip. The dip has a cottage cheese base. Don't judge till you try it! Here are the recipies. Put cottage cheese in bowl with 1 T milk. Mix until it doesn't look like cottage cheese. Reserve remaining milk. Add all other ingredients. Mix at high speed until sour cream rises. Add remaining milk as needed while mixing. Peel onions and cut into wedges top to bottom. Seperate layers and put into plastic bag containing 1/4 cup flour. Mix remaining flour, water, sugar , salt and milk. Mix until smooth (batter should be thick, like pancake batter) Add crisco and mix together. Dip wedges into batter and deep fry until golden brown. Drain. Tastees is the best, miss it!!! I have a similar recipe which I've always called 'brown gravy sloppy Joes'. I thought Maid-Rite the minute I saw the picture on Facebook! Looks like several others thought the same thing! Can't wait to give this recipe a try! This sounds close to what I had as a child at farm auctions. Does anyone know if there is something similar but with a more sloppy joe -like consistency? This was supper tonight. I made them in a 6qt. crock pot. Cooked on high for 2 1/2 hours. All the liquid absorbed into the meat. I had yellow mustard and sliced onion on mine. Hubs enjoyed his too. Will make again! Thank you. I grew up with Maid-Rites (with pickle & mustard) and they were served on square white bread - not buns. Yum! Ah... Kris changed the name of her blog, that's why... I've just updated the post. Thanks for the heads up!! Wow Mandy! This is a real keeper! I just finished making this and couldn't wait to comment. I made it exactly as written and cooked it in my slow cooker for 2 1/2 hours on high. Easy and fast to put together. Very flavorful! My husbands biggest beef (sorry, couldn't help myself) with ground beef was the chewiness of the cooked meat. But doing this in the slow cooker made the meat very tender! We both really liked this recipe. Thank you for posting!